Nobu Hotel Chicago is expected to open in 2019. NEW YORK—At a preview event for the Nobu Hotel Los Cabos at Nobu 57 here, AIC Hotel Group revealed that they will be opening Nobu Hotel Chicago in 2019. 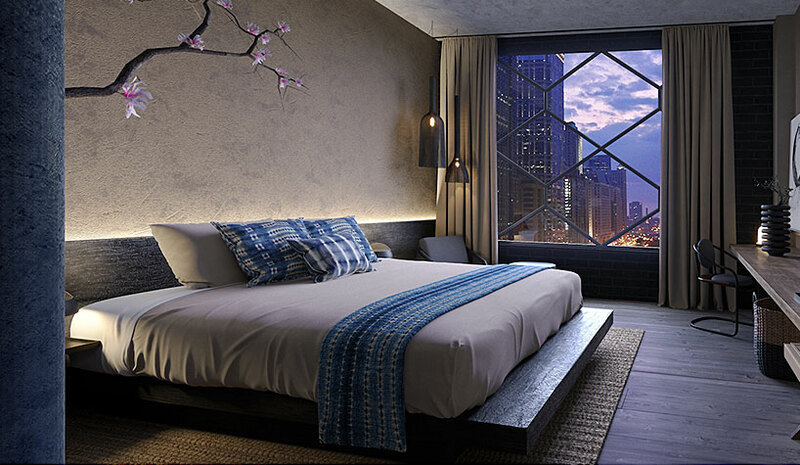 Nobu Hotel Chicago will have 115 guestrooms and suites and be located on Randolph St. in the West Loop. The Nobu hospitality and restaurant concept are brought to life in a theatrical way through the architecture of the building, which playfully blends elements of old world Japanese art and new world utilitarian, with a sense of accessible sophistication, according to the company. The 200-room Nobu Hotel Los Cabos in Mexico, which is expected to open in the spring of 2019, blends contemporary Japanese minimalism with locally sourced natural, Mexican materials and finishes, and draws design inspiration from the sophisticated palette that alludes to the Japanese aesthetic of the Nobu brand, as well as the distinctive elements of Cabo San Lucas. The hotel includes a Nobu restaurant, lobby bar and farm-to-table restaurant Malibu Farm. SureStay, Best Western Properties Dot the U.S.